Already found your dream yacht? Then it’s time to fill it with some top-of-the-range water toys and on board technology. Take a break from admiring the largest yachts on display at the Monaco Yacht Show 2018 and pay a visit to our edit of the top tech and toys brands at the show… FunAir Want to be the coolest yacht on the water? Then you’re going to need a superyacht slide and a range of inflatables and no-one does them better than American firm FunAir. The company will be launching three new products at the Monaco Yacht Show. Twin Escape is comprised of two detachable loungers floating on a stable platform that offers the perfect solution for extending your beach club or bathing platform. The Twin Escape loungers can also be brought on shore and used in conjunction with the new Wave Lounger - an inflatable beach lounger designed for compact storage and transportation while making it easy for crew to set up for large groups on remote beaches. To complete the range, FunAir will also be debuting a new Daybed large enough for two adults to sunbathe in style. Want to be the coolest yacht on the water? 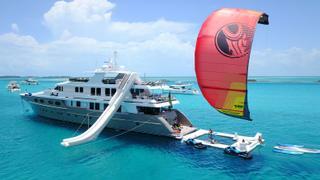 Then you’re going to need a superyacht slide and a range of inflatables and no-one does them better than American firm FunAir. 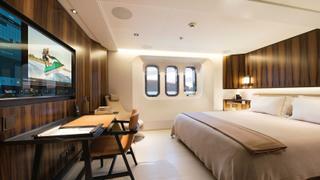 The company will be launching three new products at the Monaco Yacht Show. Twin Escape is comprised of two detachable loungers floating on a stable platform that offers the perfect solution for extending your beach club or bathing platform. The Twin Escape loungers can also be brought on shore and used in conjunction with the new Wave Lounger - an inflatable beach lounger designed for compact storage and transportation while making it easy for crew to set up for large groups on remote beaches. To complete the range, FunAir will also be debuting a new Daybed large enough for two adults to sunbathe in style. The Monaco Yacht Show has long attracted firms from the world of private aviation and this year is no different. 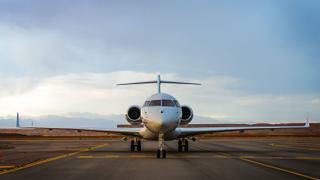 Shared ownership experts NetJets will be returning to announce the addition of the Bombardier Global 6000 to its already impressive fleet of private aircraft. 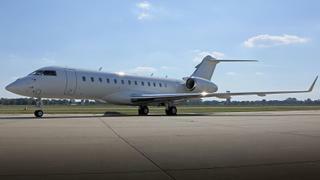 Capable of seating up to 13 passengers, the Global 6000 can fly non-stop for up 13.5 hours with a top speed of 901 km/h and features a private stateroom with sofa and a galley. The new flagship of the NetJets fleet, it will be available across its range of fractional ownership programmes. Amsterdam-based infotainment specialist Oculus Technologies has made rapid in roads into the yachting industry in recent years with its YachtEye guest information system now installed on over 90 yachts, many of which measure 70 metres plus. At the Monaco Yacht Show 2018, Oculus will be demonstrating both its YachtEye and Odyss systems with the help of a virtual Oculus Yacht created using a Sony CLED wall. While YachtEye allows on board guests to access information about itineraries, weather conditions, daily menus and activities via iPads and televisions, Odyss takes the form of a physical bespoke clock which can be used to access data on world times, temperatures, wind speed, humidity and yacht position and speed while optional extras include weather forecasts, message functionality and image display. US-based private jet sales, marketing and brokerage firm Jetcraft will also be one of the numerous aviation companies attending the Monaco Yacht Show 2018. As well as promoting its extensive range of aircraft, which includes the new Bombardier Global 6000 (pictured) and models from the likes of Dassault, Gulfstream and Cessna, Jetcraft will also be celebrating its expansion into Europe with the opening a new London HQ and discussing its influential 10-year Market Forecast which offers an expert insight into the future of the private aircraft market. 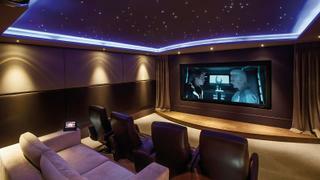 A veteran in the on board AV and network space, Videoworks will once again be returning to the Monaco Yacht Show with two new products on display. The first, dubbed the Emotional Room, will allow visitors to the Videoworks stand to experience its latest innovation in domotics which employs a neural network to evaluate a person’s mood and adapt the lighting and music in a space accordingly. The second will see visitors immersed in what Videoworks are calling ‘three-dimensional sound’, a listening experience which makes the participant feel as if they are in the middle of a rainforest or symphony orchestra. Videoworks products can also be seen on board a number of yachts on display at the Monaco Yacht Show including Latona, Cecilia and the Navetta 42.